December 3, 2011 - Machinists Union members will vote next week on a four-year contract extension that includes a commitment by the Boeing. to build its 737 MAX passenger jet in Washington state. Leaders of the International Association of Machinists and Aerospace Workers (IAM) said the tentative agreement also would ensure continuation of wide-body aircraft work in Puget Sound. In addition to the job security language, terms of the four-year proposal include annual wage increases of 2 percent, plus cost-of-living adjustments, an incentive program intended to pay bonuses between 2 and 4 percent, a ratification bonus of $5,000 for each member, increases to the formula for calculating pensions in each year of the pact and guarantees that new hires would continue to receive traditional pensions. In addition to the prospect of reliable and uninterrupted aircraft production through September 2016, the agreement provides Boeing with savings in health care costs, partly by encouraging union members to enroll in wellness programs and partly by increasing the share they pay toward their health benefits. As a further step, the IAM and Boeing agreed to establish standing committees of top-level union representatives and company officials with the ability to quickly address conflicts and opportunities. The agreement still must be ratified by IAM members working for Boeing in Washington state, Oregon and Kansas. The votes are scheduled for December 7. Boeing’s BCA Labor Communications, Tim Healy said "The 737 MAX builds upon the legacy of the world's best single-aisle airplane and continues to generate overwhelming response from our customers," said Jim Albaugh, president and chief executive officer, Boeing Commercial Airplanes. "If our employees ratify a new agreement, building the 737 MAX in Renton will secure a long and prosperous future there, as well as at other sites in the Puget Sound area and in Portland, Ore., where 737 parts are built." 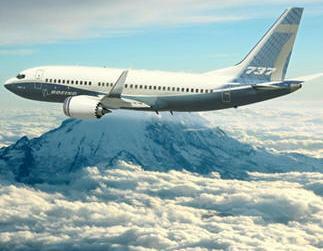 To date, Boeing has received more than 700 commitments from our customers for the 737 MAX. The Boeing 737 MAX is a new family of aircraft being developed by Boeing Commercial Airplanes to replace the Boeing 737 Next Generation family. The primary change will be the use of the larger and more efficient CFM International LEAP-1B engines. The airframe is to receive some modifications as well. The three variants of the new family are the 737 MAX 7, the 737 MAX 8 and the 737 MAX 9, which are based on the 737-700, −800 and −900ER, respectively which are the best selling versions of the 737 Next Generation family. Boeing has stated that the fuselage lengths and door configurations from the Boeing 737 Next Generation family will be retained on the 737 MAX variants. The 737 MAX is scheduled for first delivery in 2017.